The Basque Country is one of the regions of Europe, comparable perhaps only to Flanders, where the love for cycling is felt most intensely. The numbers reflect it, in terms of the registered federation members, cycling teams and companies dedicated to the sector. So does the passion of Basque fans, who are recognized around the world for their loyalty and their knowledge of the sport. We also are lucky enough to live in an exceptional terrain that gives us the freedom to decide whether we’d rather feel the sea breeze as we trace the coast of Biscay or Guipuzkoa, cruise through the Rioja Alavesa region, enjoying its beech forests and vineyards, or set out to conquer peaks like Jaizkibel or Barbari. Orbea is a company whose identity is deeply rooted in the Basque Country and it has played a pioneering role in making bicycles part of our society. For the past 175 years, we have been feeding and nourishing the richness of this entire cycling tradition, whichbeats in the heart of each and every town. 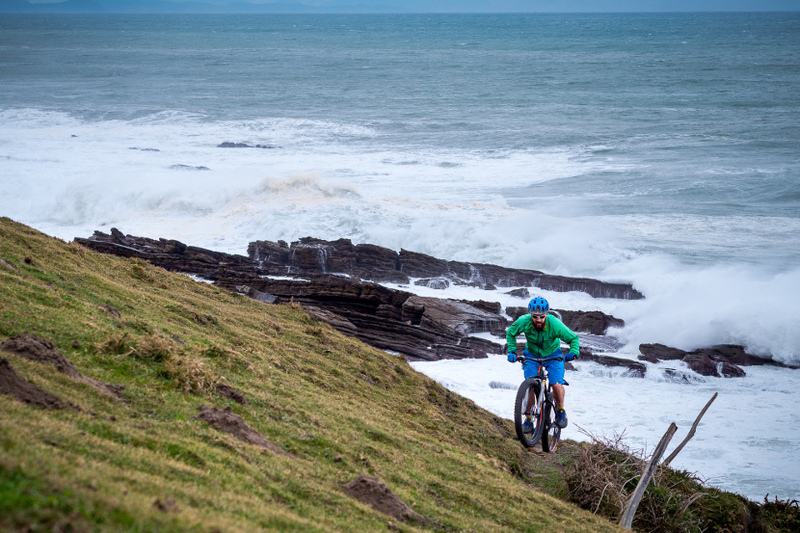 One of the latest examples of this is Basque Country Cycling, a concept that joins our efforts with those of Kili Bikes to convey the richness of the Basque Country through customized cycling excursions on top-of-the-line Orbea bicycles. Customers are accompanied at every turn of the pedal by multilingual cyclists who will not only take them to those hidden enclaves they’d never find on their own, they can also complement the scenery with stories about cycling and the historic heritage of the places they pass by. One of our goals is to create events and experiences where our users can fully experience their passion for bicycles. How better to do it (as our customers have demanded on numerous occasions) than in a land like the Basque Country, where our roots are and where people live and breathe cycling everywhere you go? Nearly 1,000 people have taken us up on our offer so far over the last four years. “Pedaling through the Basque Country is like playing basketball at Madison Square Garden”; “The guides (from Basque Country Cycling) are incredible, they match your pace when pedaling and they find you places to eat, if you want, while you’re on the road”; “I love the fact that I brought nothing with me, they provided everything and at a very reasonable rate”; “Oskar (Aguiriano, of Kili Bikes) is a true fan, very nice and someone who makes sure that everyone is having a good time…” These are just some of the opinions posted on Trip Advisor. With opinions like this, it is no wonder that Basque Country Cycling is ranked as the 7th most popular (of 25) outdoor activities in San Sebastián, with 99% of the ratings describing this experience as “excellent”, according to this website. There are users who give it all they’ve got at 30 km/h and complete 130 km without so much as stopping to take a photo. Others prefer to take things a bit more slowly, pedaling along at a leisurely pace to take in all the sensations and experience the countryside has to offer. There are even those who have someone from Basque Country Cycling already waiting for them upon arrival at Loiu Airport in Bilbao, along with an Orbea bike that is ready to pedal to San Sebastián. In short, there are users who want to go on a one-day excursion and spend the rest of their vacation on the beach or visiting cultural sites, and others who cannot go a single day without pedaling from here to there. 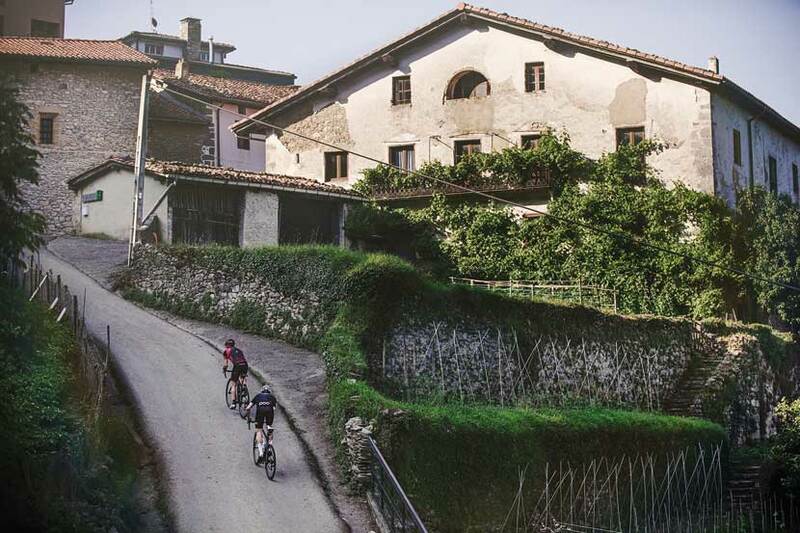 For each of them, Basque Country Cycling comes up with a personalized plan according to the number of vacation days the user has, the type and difficulty of the terrain where they want to ride and the time available for riding each day. All of this with the technical assistance of Orbea, which besides providing its best Orca and Avant road bikes and Rallonand Occam mountain bikes, also offers users the option to acquire customized bikes and cycling gear so they can take home a souvenir of this unforgettable experience. Thanks to this adventure, users can pedal through the mythical Tourmalet, and also discover mountain passes like San Miguel de Aralar, the Basque Mortirolo. After suffering on its asphalt, you can travel on to Pamplona to explore the city. And we mustn’t forget Barbari, in the heart of Goiherri, with its short, yet challenging climb at the foot of the Aitzkorri Range. Visits to the picturesque and historical towns of Segura, Zegama and Zerain are something else that is not to be missed. There is also Azurki,the most difficult pass in Gipuzkoa. The objective data is a bit deceiving; once you’re there in person, you realize just why it has a 224 rating, higher than many legendary passes in other mountain chains. And what can we say about Jaizkibel, the spectacular vantage point on the French border, where the San Sebastián Classic is traditionally decided. 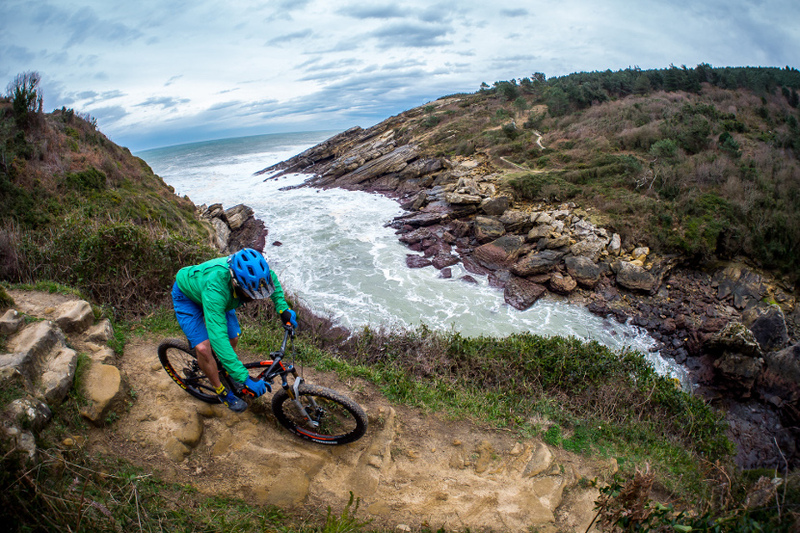 Basque Country Cycling is a concept that joins cycling, culture and gastronomy. Yes, it is the passion for bicycles that attracts the users, but it is just as appealing to know that, on its pre-planned routes, you can start the day struggling to reach the peak at Tourmaletand end it with a family supper at a three-star Michelin restaurant, such as those run by Martin Berasategi or Juan Mari Arzak. 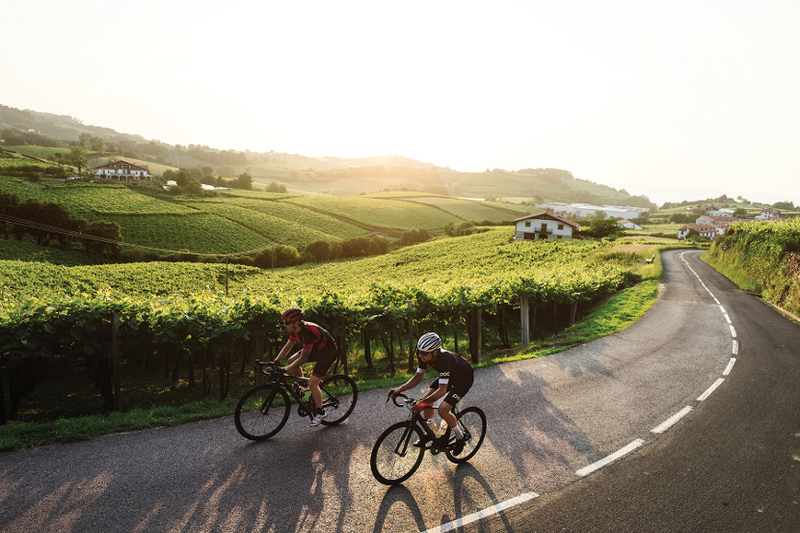 While they pedal, or at the end of each day, riders can discover the richness that the Basque Country has to offer on every level: heritage, culture, gastronomy, nature, and more. It’s a land that has known like few others how to combine its roots in ancestral traditions with the creation of modern urban icons, such as the Guggenheim Museum in Bilbao. 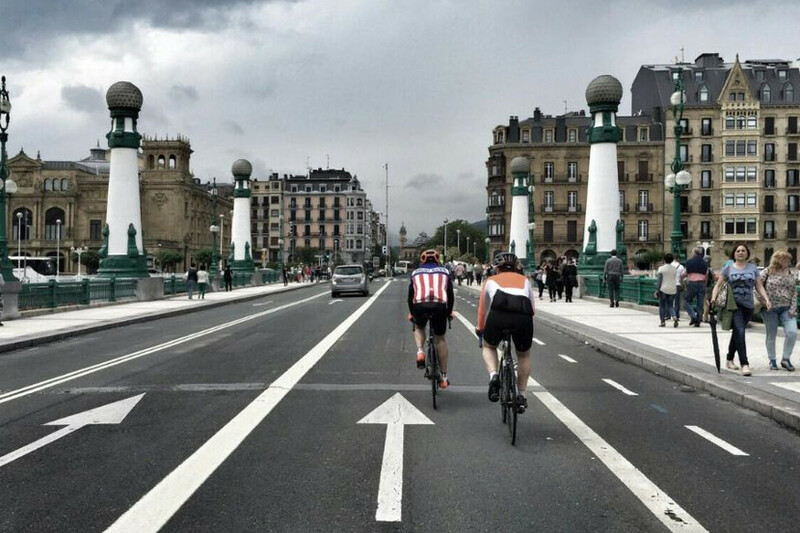 It is no wonder that more and more cycling fans from around the world (for the moment, 65% come from the USA, the United Kingdom and Australia) end up fascinated by the tranquility and respect with which they can practice their sport on Basque roads. They enjoy diverse landscapes and the opportunity to reach remote areas after important climbs, only to find themselves in unique settings. This project is intended for everyone, and that is why it is open to those who want to collaborate and contribute to improving it, so that more and more users can discover what makes the Basque Country one of the best places in the world to live out your passion for cycling.